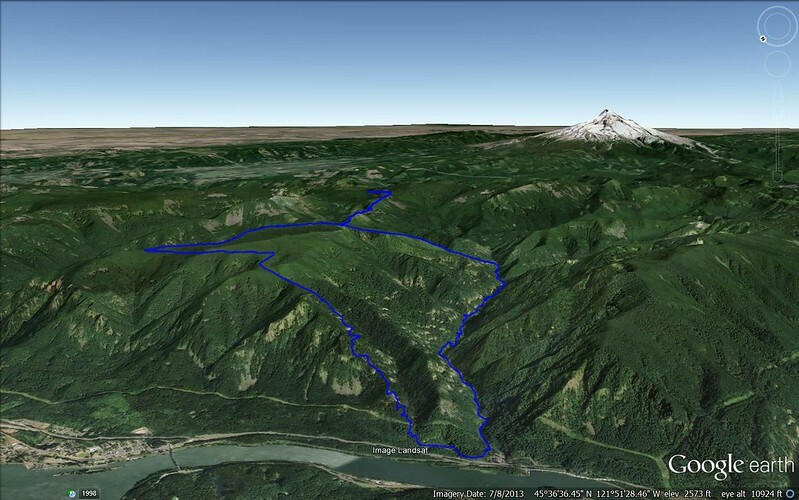 R Solo: Eagle-Benson Loop: 3-24-14 – Hi, Alpine. This hike’s from around a month ago, but for some reason I’m just getting around to posting it now. 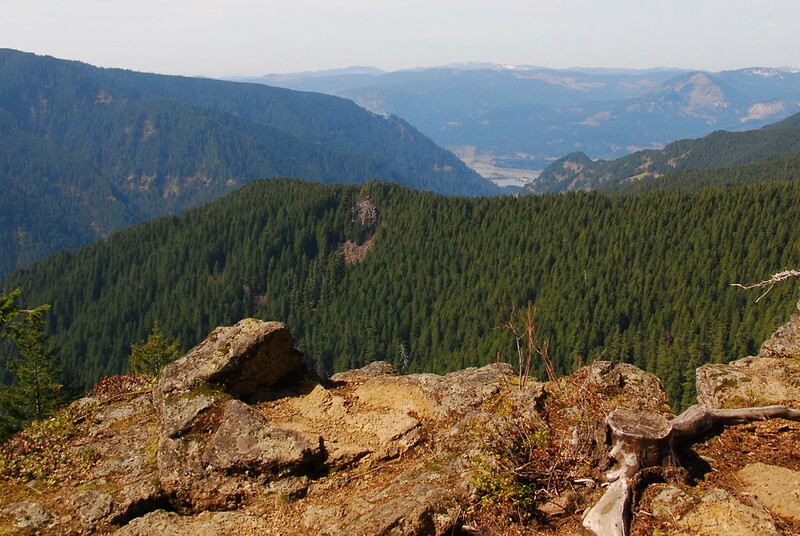 The basic idea was to do the Eagle-Benson Loop largely as it’s described on Portland Hikers. The actual hike ended up being a little more convoluted: I went up Eagle Creek to the Eagle-Benson Trail, then took the Pacific Crest Trail over to Wahtum Lake, went back to the Benson Plateau, and, after getting lost for a couple hours, took Ruckel Creek Trail down to the Old Columbia Highway Trail and the car. The day was considerably longer than I’d planned. Around 15 of the 28 (!) miles were in the snow. I didn’t take many pictures going up Eagle Creek, both because everyone’s seen that trail a thousand times, and because, even at 8 AM on a weekday, it was already stupidly crowded. 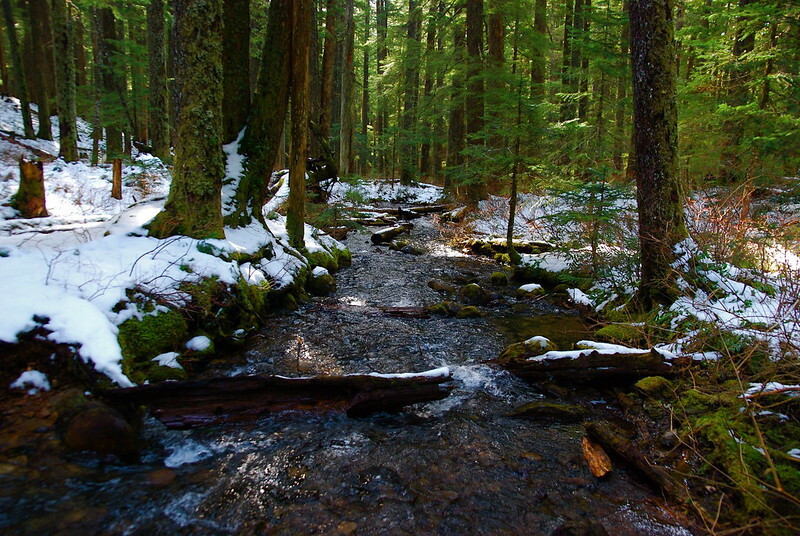 But there were a couple nice feeder creeks after Punch Bowl. 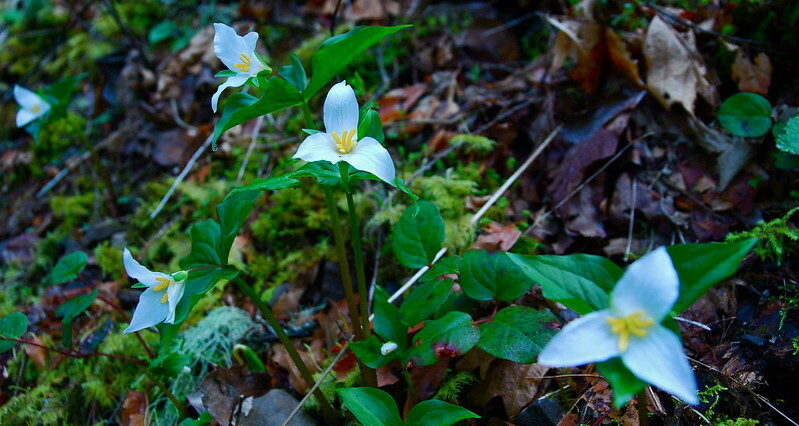 The year’s first Trilliums (for me). 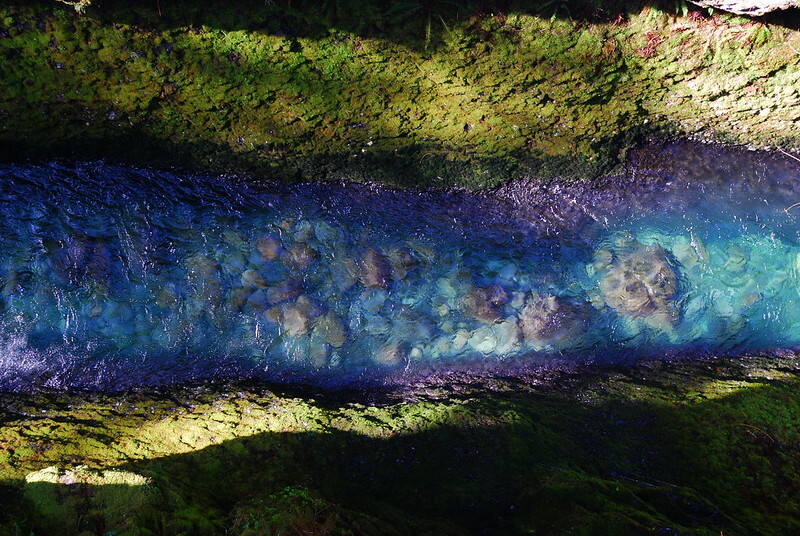 Looking down at Eagle Creek from High Bridge. Very old sign for Wy’East Camp. The Eagle-Benson Trail splits east a quarter mile after crossing Wy’East Creek. 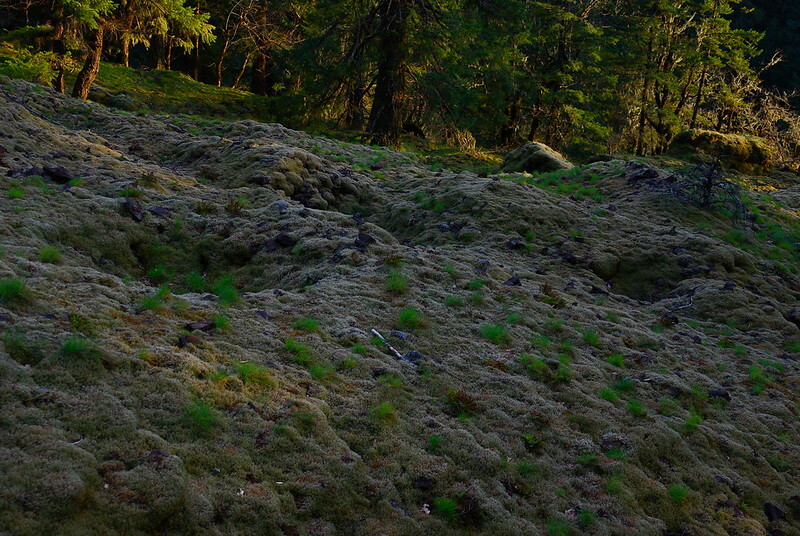 It’s sort of easy to miss, because it looks more like a sketchy deer path than a real trail. Also, there’s tons of exposure. 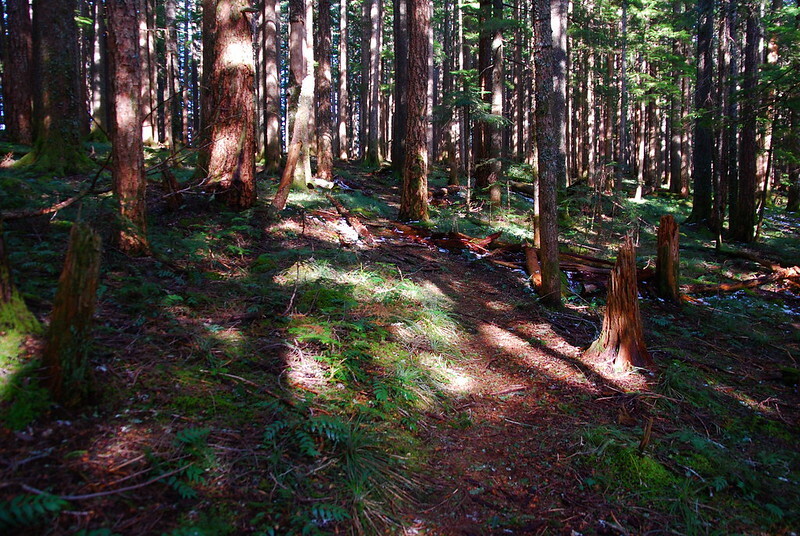 It was abandoned for years, and the forest service still tries to dissuade people from using it. 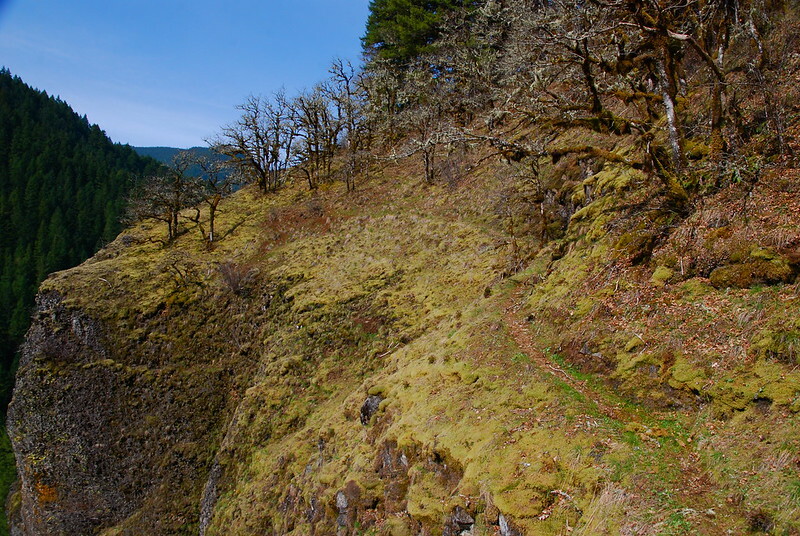 That’s the trail on the right, a couple hundred feet above Eagle Creek. After gaining a couple thousand feet very (very!) quickly, the views become wonderful. 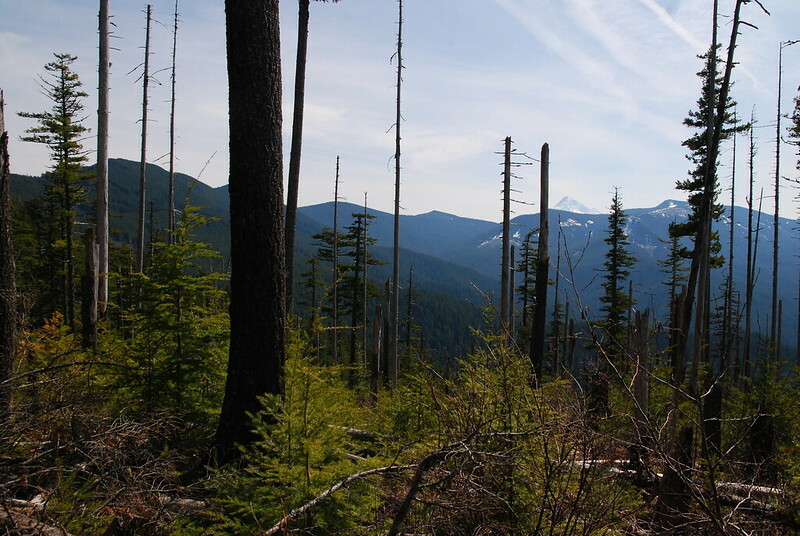 This is the view looking west toward Tanner Butte. 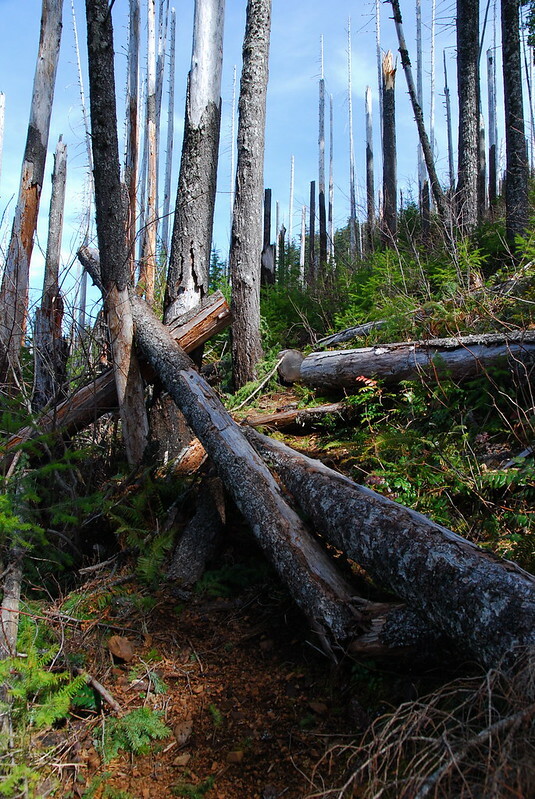 The Mazamas came out and did some trail maintenance a couple years ago, but there’s still quite a bit of blowdown. Mount Hood’s back there somewhere. 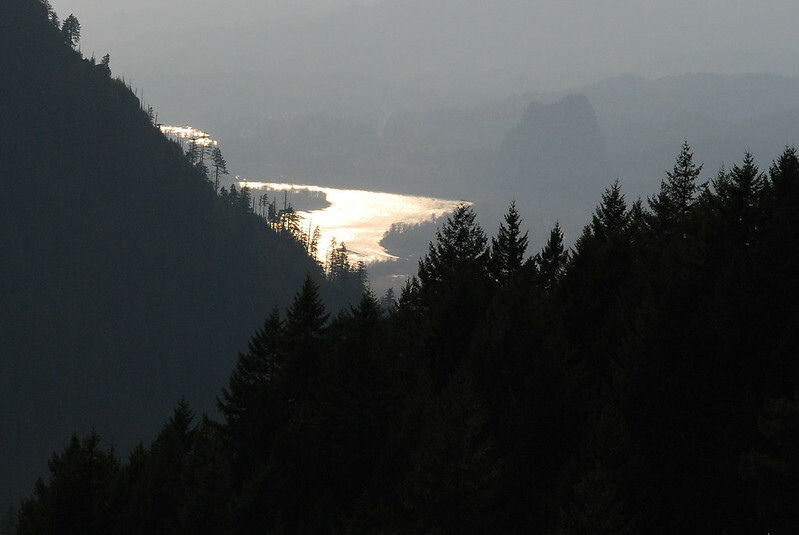 The view from breakfast, looking down at Bonneville and the Columbia. After what seemed like way more than three miles, the Eagle-Benson Trail hits Camp Smokey, where it intersects with the PCT. 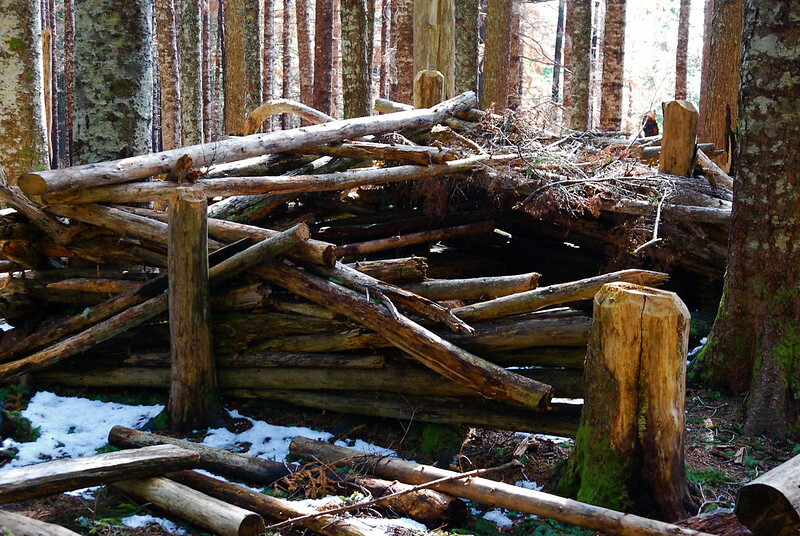 There’s a nice three-sided shelter. 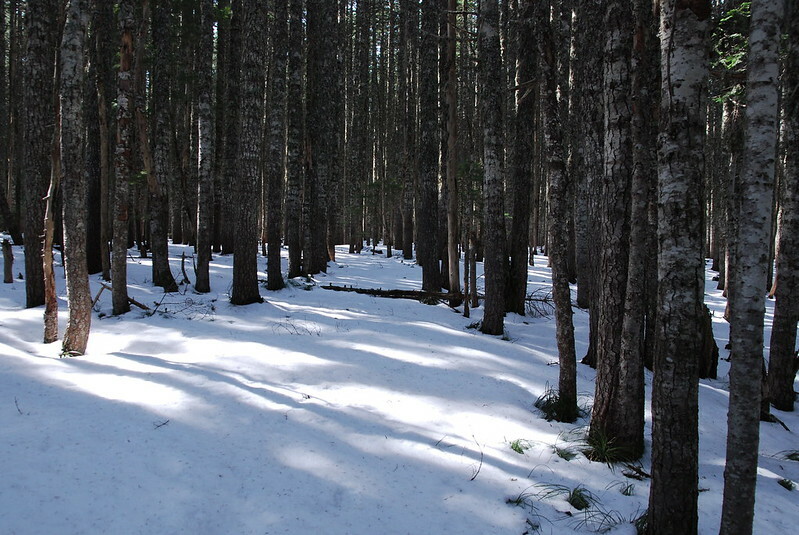 You can’t really tell here, but the trees around are all singed from a campfire that got out hand. I didn’t quite make it all the way there, because the snow’s maybe four feet deep near the lake and I was postholing pretty bad. 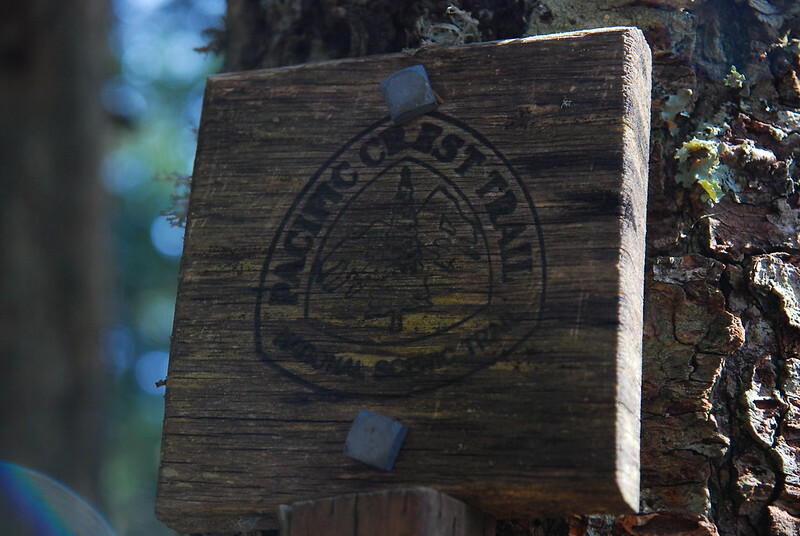 I did though see one of those gorgeous old Pacific Crest Trail signs. 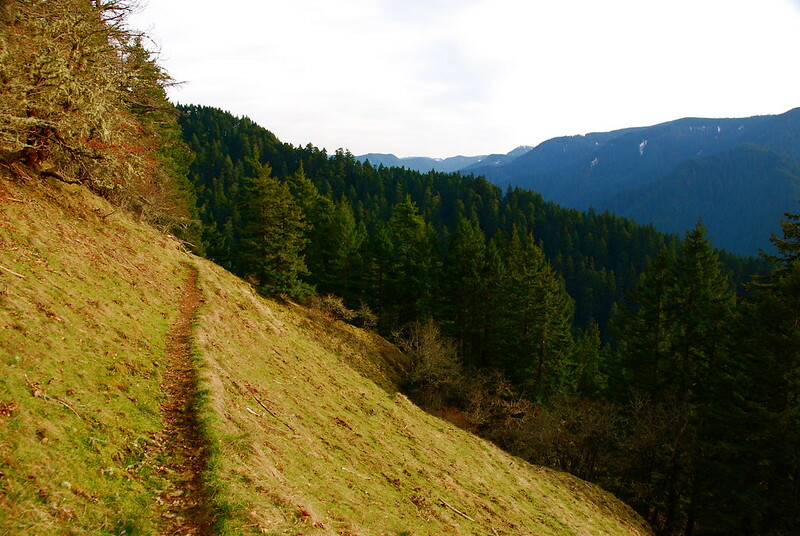 And then… I got back to the junction, took the PCT over to the Benson Plateau, and almost immediately got lost. 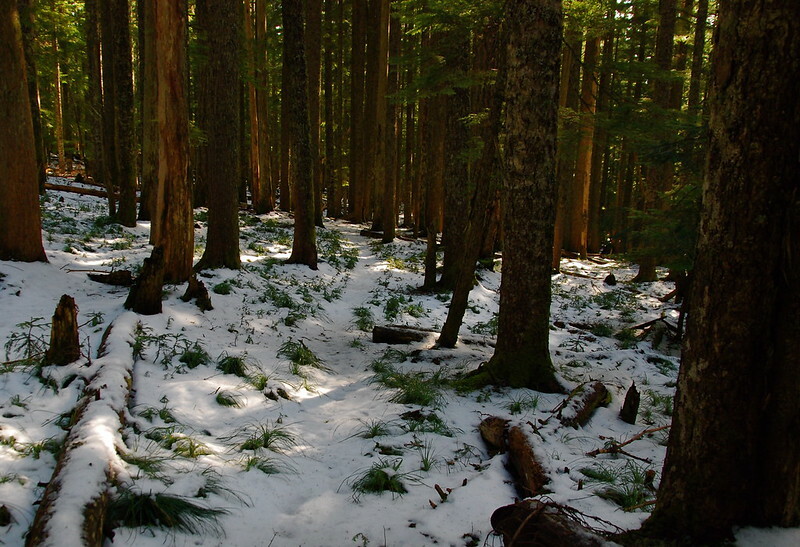 The plateau is a large, flat area around 4000 feet, with a bunch of trails winding around it, some official and some not. All of them were difficult to find. 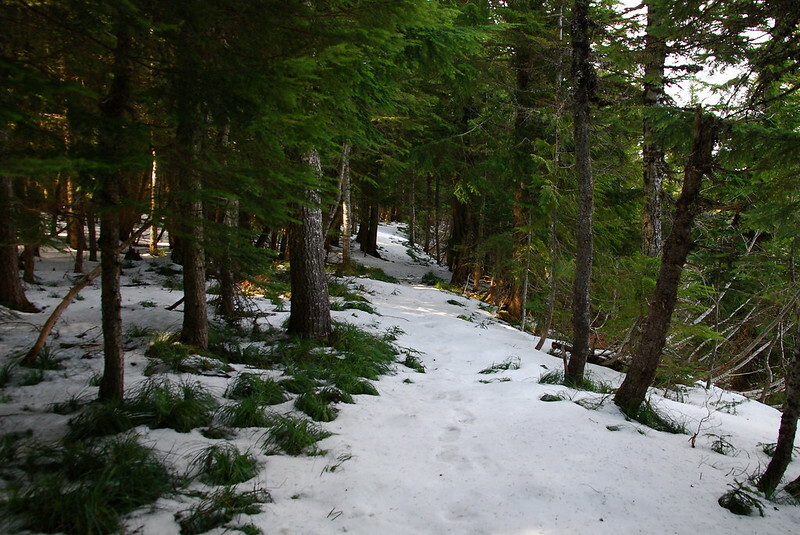 For reference, this isn’t a trail. I meant to take Benson Way, Trail 405, but lost it almost as soon as I found it. Eventually, I compassed it back to the PCT, and figured that I’d just follow that, as it’s generally well marked and better established than anything else up there. The worst case scenario was that I’d just follow the PCT to Bridge of the Gods, then walk back a couple miles along I84 to Eagle Creek. Not ideal, but definitely better than spending the night lost in the snow. Following the PCT did have its advantages. 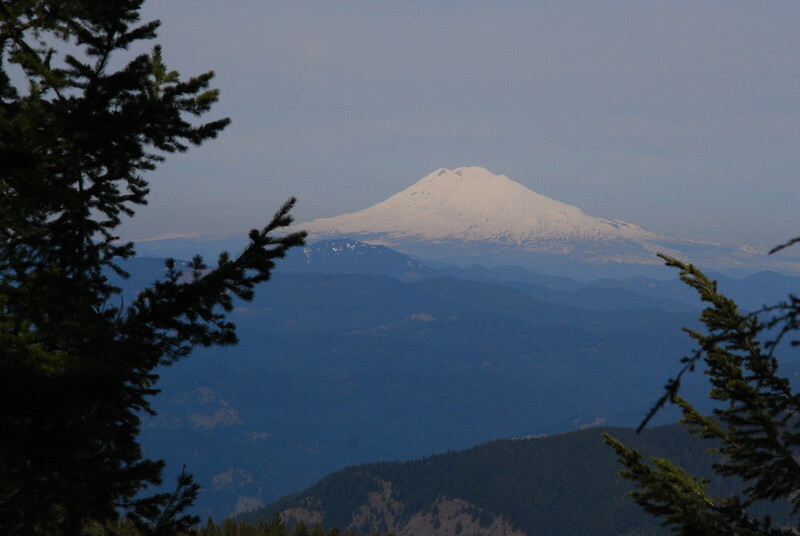 This is the view Southeast toward Mount Hood. Eventually, I found one of the forks of the Benson Way Trail (there are three or four) that was a little lower and easier to see than the rest of them, crossed my fingers, and followed it. Yay! 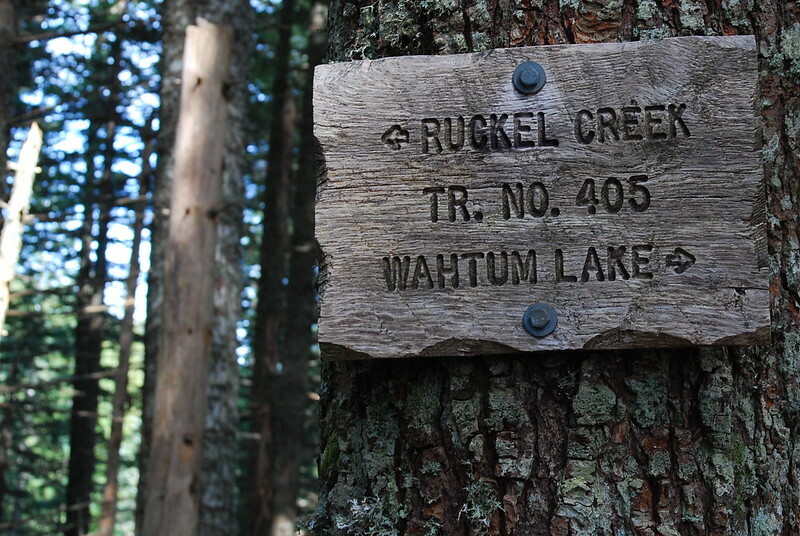 Eventually I hit Ruckel Creek and knew it would be okay. I totally yelped with joy, then was immediately shamed by an incredulous chipmunk. 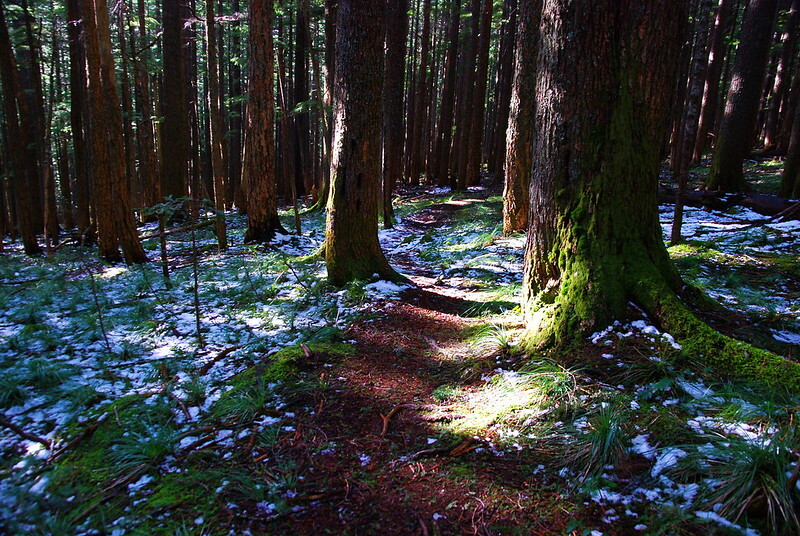 Following the Ruckel Creek Trail down and back into Spring. Relieved. Once I was back on familiar trails, I stopped for a very late lunch in one of the “hanging meadows” along the Ruckel Creek Trail, and called KRock to tell her I wasn’t dead (yet). These are going to be filled with wildflowers in a couple months. The Columbia, finally back in sight. I hit the “Indian Pits” right around sunset. 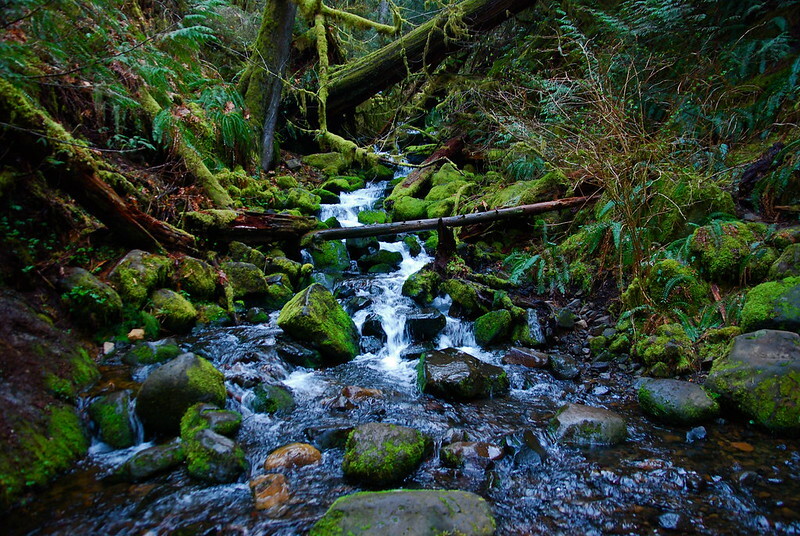 These were dug hundreds or thousands of years ago by the area’s first inhabitants. Their purpose got lost when Europeans came and screwed everything up, but most people think they were used for either religious practices, storing food, or for hiding from game while hunting. I’m glad they’re still here. 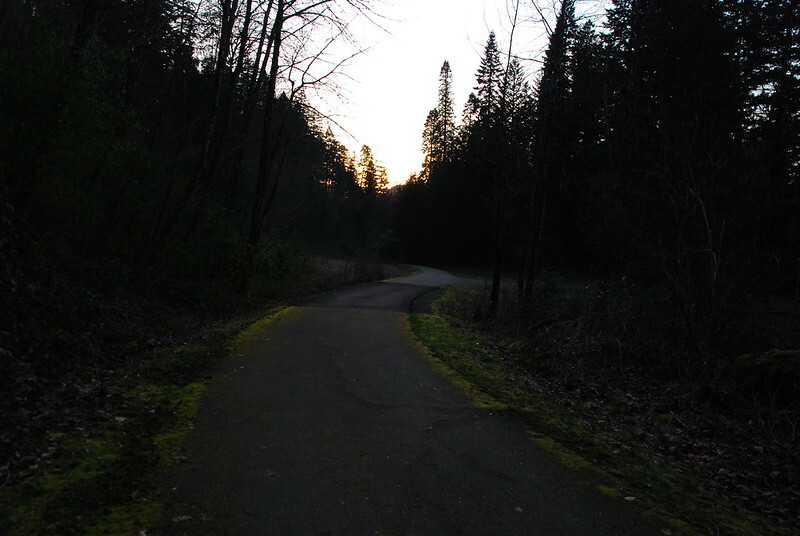 Putting on my headlamp, a half mile from the car. 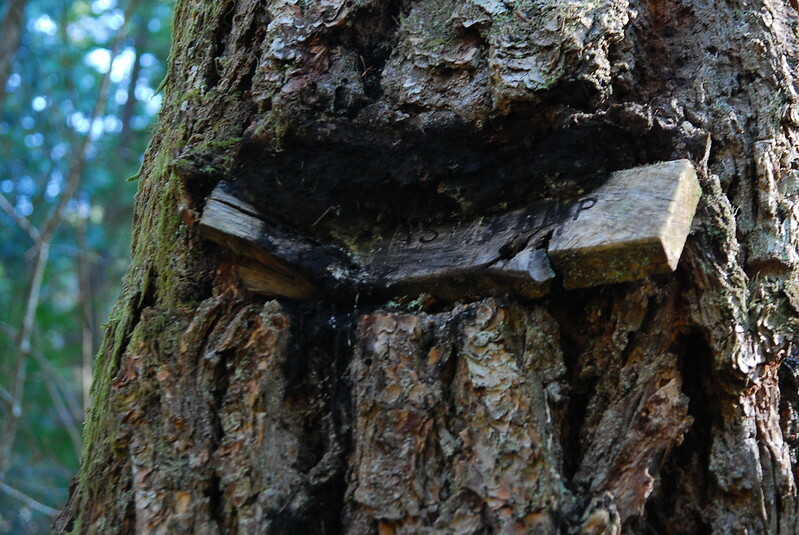 It looks like the tree is having the trail marker sign for a light snack.